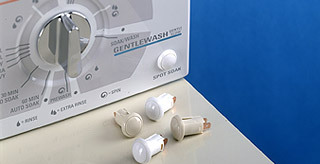 CW provides engineered solutions to many of the leading OEM's in the world. We are a World Class supplier and meet the complex needs of today's leading industries by delivering on-time, high-quality and cost-effective manufacturing solutions that exceed the requirements of its diversified customer base. Our working knowledge of regulatory and industry standards will substantially reduce your lead-time to manufacturing and ensure that your products are built to specification, on time and on budget. 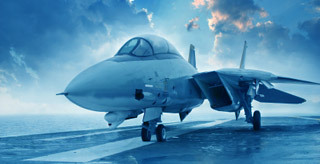 Major defense contractors and OEM’s rely on CW for innovative connector designs and in-stock QPL interconnect products. They recognize CW as a resourceful partner with a proven track record. 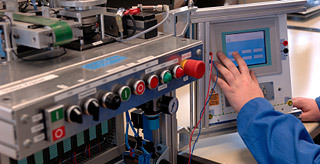 We offer total connector development and manufacturing support and our design teams transform your ideas into prototypes, test them in our UL, CSA and DOD-certified laboratory. CW helped DOD develop MIL-C-83503 for IDCs, and our modern assembly facilities make the only MIL-C-24308 QPL approved IDC D-Subminiature Connectors, as well as MIL-C-28804 General Purpose Rectangular Connectors. CW is a key supplier to leading Tier I and II automotive OEM’s and has content on platforms with every major US and Japanese Transplant car manufacturer in North America. We supply switches, harness assembly, electromechanical and PCB assembly and customized products for a wide range of unique applications. We have designed and developed automated and semi automated equipment to improve cycle times, deliver zero defects and lower the overall costs. Our new product development staff is focused on solutions and has a proven track record of bringing new designs to market. We are a knowledgeable and trusted source with a long-standing reputation for innovation, high-quality and reliability from product concept through assembled product. Advancements in medical technologies drive the need for innovation and customized solutions. 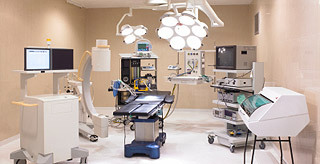 Healthcare OEM’s rely on CW to produce complex power and control switches, connectors and assemblies that require a high level of precision, performance and accountability. Our dedication combined with practical experience in manufacturing component parts for the healthcare industry make CW the OEM’s choice when seeking a reliable, long term supplier partner. CW goes to great lengths to design and manufacture quality into our parts allowing our customers a broad range of options. Our manufacturing processes ensure compliance, tight tolerance control to customer specifications and part repeatability. 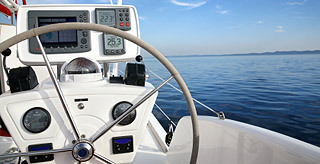 CW has a long history supplying power control switches to OEM's in the recreational vehicle market for interior lighting, sliding rooms and electronics. Our IP rated switch product line is ideal for recreational, marine and outdoor applications that must withstand harsh environmental and operational demands and perform under rugged use and exposure. CW manufactures switches, connectors and wire harnesses that must withstand the wear and tear of the most demanding operational requirements. 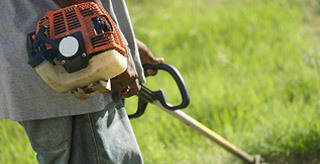 CW switch products have been specified by leading OEM’s in the Lawn and Garden Industry after extensive field testing and qualification. Our unique construction and internal design featuring self cleaning contacts offer continued actuation when exposed to debris and dust resulting in superior performance and reliability. From a simple rocker or push button switch to a wire harness design or a customized product, we can handle a wide range of applications, cost-effectively and with the highest levels of quality and customer support. One of our fastest growing markets, CW’s broad range of products - including electromechanical switches, harness assembly and PCB assembly are specified by leading OEM's throughout the world. We work closely with our customers to design innovative, high-quality and cost driven options. We provide comprehensive customer support with on-site design and technical assistance to enable our customers to go from product concept to production without delay. Our working knowledge of regulatory and industry standards will substantially reduce your lead-time to manufacturing and ensure that your products are built to specification, on time and on budget. The knowledge and expertise gained in servicing multiple industries worldwide gives CW a unique advantage and perspective in solving customer specific requirements. We provide engineered solutions to many of the leading commercial and military OEM's throughout the world and work closely with our customers to maintain a focus on product excellence and manufacturability. We have many years experience supplying small to mid- sized production requirements of both standard and custom products. Serving customers since 1904, CW Industries has a long history of uncompromising craftsmanship and dedication to developing and manufacturing the best products - quickly, reliably, and inexpensively.